This article reveals you the secrets to feel great here on and for the rest of your life. We are the human beings, every thing we so is for the benefit for our own self. We are the sophisticated creatures on this earth. Whatever we do is to seek pleasure and avoid pain. You can take any example for that. When have you ever experienced the best feelings in your life? This must be when you were happy and laughed at your best and fullest. You may find yourself laughing till tears either at your friend’s joke or listening to any comedian. The concept of life and laughter is essential for you to understand to be happy for the rest of your life. There are some people who pay money to feel good and happy. This holds the common logic. People go to a comedy movie or a comedy show to feel good and happy. People throw jokes to laugh and feel good. Many even people purchase the tickets of comedy club to laugh and enjoy the gift of being alive. It is evident that laughter is the medicine. it is certain that we feel great when we laugh and enjoy the things in life. It gives us pleasure. So, what did you understand till here? This article is making an attempt to make you realize the importance of laughing/being happy. You need to create happiness in your heart. You need to learn the techniques of being happy. So, to be happy for the rest of your life, just learn to be happy. The hypnosis holds the answer for you. You can laugh as long as you want, when and where you want, as hard as want to – with self-hypnosis. Remember hypnosis is the science that controls your brain. It is nothing superficial or magical. Be determined and uninterrupted: The first and the foremost thing for you to do is find a place where you can sit calm and where you will be uninterrupted. Make sure that if you want to be great for the rest of life, you need to make an effort for the long lasting benefit. Be physically relaxed: Your next step is to sit down and feel relaxed. Be in whatever position you feel relaxed. You can either lie down on your back or you can choose any position where you are at complete ease. Allow yourself to relax: Now the third step is to close your eyes. tell yourself that for the next 15 minutes you are going to be relaxed and calm. Tell your mind that you are going to laugh and improve your health. Make up your mind that you are going to laugh so that you can feel great for the rest of the day. Relax Mentally: Now make the reverse counting from 10 to one. With each number passing by give yourself suggestions that you are going to feel the exquisite feeling of being relaxed. You are sinking down deeper into self-hypnosis and you are about to feel great. With every reverse counting suggest yourself that you are doubling your relaxation. Regain the past moments of your great joy: Now you are relaxing, you need to regain the memory of any past time when you felt the tremendous level of your enjoyment. Just picture that moment as happening to you in present. As soon as you do that, experience the same feeling that you felt at that time. Let your mind and body feel the sensation. An when you do that, begin to laugh. Relive the more past moments of your joy: Keep reviewing the moments when you felt the tremendous joy. But this time make sure that you relive those moments when you laughed as never before. These may be the moment when you laughed till tears in your eyes. these may be the moments which makes you laugh whenever you review them. Jump start your laughter: If you find it difficult to begin to laugh, just take heart. Some times it happens that people find it difficult to laugh, that’s ok. What is this article for? It is to recondition you to laugh. Laugh freely and easily. Begin with the whole process from the beginning. If you still do not find any thing working for you, begin with the fake laugh at first. Some thing has to be the beginning. So let’s this be the first move. Begin with the fake laugh recollecting your past memories. As you continue to do so, your mind will soon convert that fake laugh into the real laughter. Your fake laugh will make you laugh. This exercise does not bear any side effects nor does it ask you to do any thing that is not within your reach. It enables you to tap your own ability to laugh. You have the right to live at your fullest and laughter can help you do that. If you want to the copy of the best-selling book on how to explode your confidence, shatter your limits and live your dream life, then check out. 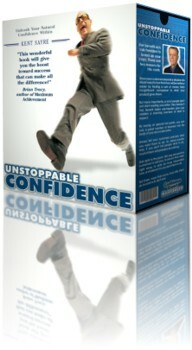 Using the power of hypnosis, you will lose weight, stop smoking, gain unlimited confidence and motivation. 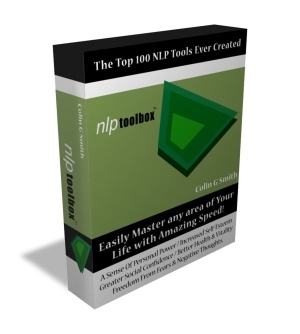 Now You Can Have The Top 100 Neuro Linguistic Programming (NLP) Tools Ever Created In This One Powerful, Easy To Master eBook!